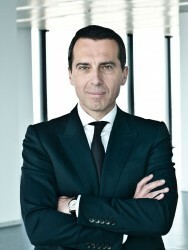 Christian Kern, CEO of the Federal Raiways (ÖBB), backed up his call for a capital increase. The simple statement of Kern: “We do no want any subsidies, we do not want grants. What we want is investments.” Thus, the head of the Federal Railways confirmed his claim. Kern spoke with the journal “Profil”.